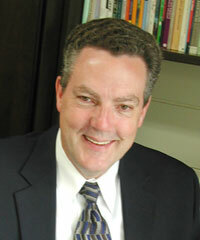 Harry Fernhout is president of The King's University College, Edmonton, Alberta, Canada. A former president of the Institute for Christian Studies,Toronto, he holds doctoral and master's degrees in Philosophy of Education from the University of Toronto, as well as a master's degree in Philosophy from the Institute for Christian Studies. Prior to his presidency at ICS, he served that institution as vice president and professor. The youngest of five children, he was born in Holland and emigrated with his family to Thunder Bay, Ontario at the age of three. Initially feeling led into the ministry he entered Dordt College in Sioux Center, Iowa, graduating in 1970 with a Bachelor of Arts in Philosophy. During a year of pre-seminary study and reflection at the newly-opened Institute for Christian Studies (ICS) in Toronto, he decided his calling lay not in the ministry, but in the academic arena. His distinguished career at the Institute for Christian Studies spanned 20 years. He is credited with tremendous accomplishments during 16 years in the presidential post: two successful capital campsigns, affiliation with the Toronto School of Theology, and becoming one of the first privately-funded independent academic institutions in Canada to grant its own doctorate degree.He is married to Hilda (Dykstra) Fernhout. The couple has four children and five grandchildren (with another on the way). Man, faith, and religion in Bavinck, Kuyper and Dooyeweerd. M Phil Thesis Institute for Christian Studies, 1975. Toronto: Association for the Advancement of Christian Scholarship. Man: the image and glory of God. In Toward a biblical view of man: some readings edited by Arnold H. De Graaff and James H. Olthuis. Toronto: Institute for Christian Studies : The Association for the Advancement of Christian Scholarship; pp. 7-34. Education versus indoctrination : religious education in Ontario's public schools. In Education and the public purpose: moral and religious education in Ontario ed. Tom Malcolm and H Fernhout. Toronto: Curriculum Development Centre. Of Kings and Prophets: A Study of the Book of Kings. Toronto: Curriculum Development Centre. Promises Broken, Promise Kept: A Reader's Guide to I and II Samuel. Toronto: Joy in Learning Curriculum Development and Training Centre. Where is faith? : Searching for the core of the cube. In Faith development and Fowler edited by Craig Dykstra and Sharon Parks. Birmingham, AL: Religious Education Press. Moral education as grounded in faith. Journal of Moral Education 18 (3):186-198. The metaphor of 'development' in moral education. In Norm and Context in the Social Sciences edited by Sander Griffioen and Jan Verhoogt. Lanham, Md. : University Press of America; p. 75-10. Response to John Cooper. In A Reformed University in a Secularized and Pluralized World. Grand Rapids, MI: Association for a Reformed University. All things in him: Christian higher education in a modern/postmodern world. In Signposts of God's Liberating Kingdom: Perspectives for the 21st Century vol. 1. editors, Bennie van der Walt and Rita Swanepoel. Potchefstroom, South Africa: Potchefstroomse Universiteit vir Christelike Hoer Onderwys. Faith and Learning Network project hopes to help scholars locate resources. Contact 11 (2): 5. Serviceable insight: wisdom at work. In Marginal Resistance: Essays Dedicated to John C. Vander Stelt edited by John H. Kok. Sioux Center, IA: Dordt College Press; p. 109-127. Family dynamics: issues in integral Christian higher education in North America . Christian higher education 1 (2-3): 251-272. Restless delight: educating for Shalom. Christian Courier: A Reformed Weekly no. 2776, p. 12-13.